One of the most common diseases throughout the world is malaria. Recently, the World Health Organization stressed a continued emphasis on prevention and education to further decrease the likelihood of a malaria outbreak. Expats across the globe are often facing a high number of threats, especially those related to disease. Every country presents a unique scenario that has to be accounted for, and a lack of knowledge, preparation or international insurance could lead to dangerous, costly problems. One of the most common diseases throughout the world is malaria, and a number of workers abroad are in countries that are currently coping with a rash of cases. While international health coverage is vital to cover any related expenses while outside of your home country, you should also take the proper steps to reduce the risk of exposure and stay safe at all times. Recently, the World Health Organization stressed a continued emphasis on prevention and education to further decrease the likelihood of a malaria outbreak. April 25 marked World Malaria Day, and in honor of the event, WHO has released additional resources to help countries determine malaria risk and identify adequate steps to move forward with prevention. The emphasis on malaria highlights the dangerous nature of this disease, and expats who are living and working in affected countries may want to take note of recent trends and preventative measures. According to WHO, there has been a 42 percent reduction in malaria mortality rates worldwide since 2000, with a 49 percent drop noted in the organization's African Region. Even some countries with especially high rates have the possibility of elimination in their future. "Increased political commitment and the expansion of global malaria investments have saved some 3.3 million lives since 2000," said Dr. Margaret Chan, director-general at WHO. "Countries where malaria remains endemic now want to build on this success." Recently, ground has been broken on the disease in several countries. WHO certified four nations as malaria-free since 2007: the United Arab Emirates, Morocco, Turkmenistan and Armenia. In addition, 19 other countries have entered the pre-elimination or elimination phase, while seven more nations are not far behind that important stage. Given the prominence of malaria throughout the world, expats should take all available steps to reduce the likelihood of exposure. Thankfully, there are many ways you can go about that, in conjunction with international health insurance. The U.S. Centers for Disease Control and Prevention reported that malaria is common in Africa, Central and South America, Asia and several other regions. The disease is spread via mosquito bites, and symptoms include fever and chills. A lack of treatment could even lead to death. Risk increases the more time you spend outdoors, and roughly 1,500 cases occur each year among world travelers. The first step toward prevention is a conversation with your doctor, the CDC noted. Prescriptions are available that can prevent the disease, and wearing proper clothing can reduce the chances of a mosquito bite. Insect repellent can also be an effective way to prevent malaria. In addition to these measures, you should also be careful when sleeping. Many bites occur during the night, and people are infected while spending time outdoors. With that in mind, it is best to sleep inside screened and air conditioned rooms whenever possible. If your room is exposed to the elements, consider a bed net to prevent mosquitos from getting to you while you sleep. Above all else, you should report any symptoms you experience immediately. In some cases, fevers don't present themselves until a year after infection, so keep that in mind once you return to your home country. International health insurance plans can also cover any costs you may have while living and working abroad. Shipping high-value good throughout world is fraught with risks and challenges, and given the number of hazards international businesses must prioritize safety and security. Shipping high-value goods throughout world is fraught with risks and challenges, and given the number of hazards, international businesses must prioritize safety and security. While international transit & cargo insurance is one of the best lines of defense against a loss of assets, there should be other measures taken as well to ensure an efficient operation. In today's tense global climate, problems could arise in many different locations. Companies shipping goods by aircraft, truck, ocean vessel, barge or rail may encounter difficulties thanks to piracy, thieves, accidents or even acts of war. Implementing an effective risk management strategy will help prevent critical business interruption from any one of these instances. It doesn't take a shipment of high-priced electronics or pharmaceuticals to draw the eyes of would-be thieves, according to Heavy Duty Trucking. Criminals today could target any cargo, and this threat illustrates just one potential problem run into by international businesses. "They'll steal anything," Walt Fountain, Schneider National's director of enterprise security, told the news source. "A lot of the more common items like toilet paper, diapers, you'll see some of those products stolen, then sold through small independent groceries in large urban areas." In order to help ensure that every shipment goes off without a hitch, Heavy Duty Trucking recommended that companies screen employees, train them, and practice in-transit security measures. Doing so could help prevent a serious accident or attack, and ensure that all cargo reaches its destination intact. Adhering to industry regulations and other common safety measures is extremely important for all companies shipping throughout the world. According to the World Shipping Council, this will best protect cargo, and it could provide additional positive benefits for the businesses. For starters, not all goods can be shipped in similar containers, the news source noted. Prior to transport, the most effective type must be chosen to make sure that the cargo reaches its destination safely. Then, a pre-stow plan should be completed to analyze potential hazards, including weight, volume and load limits. Improper stowing can cause serious problems during transit, so all containers should be stored correctly to avoid these hazards. Overall, it is incredibly important to take time to double-check safety and security prior to shipping any cargo. The transit process can be complicated for many reasons, and international cargo insurance will help cover any expenses that could jeopardize the continued operations of your business. Clements Worldwide has over 65 years of experience protecting international organizations with transit and cargo insurance and other critical lines of coverage. Email request@clements.com today for a quote. Risk managers and finance chiefs share a concern with loss frequency and severity, an insurance industry CFO says. How much does the job of CFO involve risk management? That’s a question that can yield as many answers as there are finance chiefs, risk managers and companies. For CFOs of small to mid-size firms, it may well involve the direct purchasing of insurance or the supervision of an insurance broker. At somewhat larger companies, corporate risk managers, charged with buying insurance, may report to CFOs, who manage the company’s risks from a more strategic perspective. The distance between the finance chief and the risk manager tends to broaden considerably at the largest companies, with the risk manager reporting to the treasurer, who in turn reports to the CFO. Rarely, however, are they the same person. But that indeed has been the situation for Tarun Chopra for the last four years. Like many of his peers, Chopra, the CFO at Clements Worldwide, an insurance brokerage headquartered in Washington, D.C., that has an international bent, is responsible for finance, accounting, mergers and acquisitions, treasury matters and information technology. That’s a normal run of CFO activities. What’s different for Chopra is his intense focus on compliance, regulation and, especially, risk management — which he calls the “shield” protecting all his other activities at the firm. Before arriving at Clements, which has offices in London and Dubai, Chopra worked at Fannie Mae, where he learned a great deal about financial risk and crisis management. For a year during the financial crisis, in fact, he led the finance and accounting operations of the newly created HASP (Homeowner Affordability and Stability Plan) division within Fannie Mae. As the CFO of Fannie operations on the project from 2009 through 2010, he built a finance organization to manage, analyze and report financials related to $50 billion in projected U.S. Treasury payments. Before that, he held financial positions at Whirlpool, rising to the post of interim controller. In a visit to CFO in April, Chopra explained his views on such matters as the changing nature of regulation, the difference between disaster planning and crisis management and how being the CFO as well as the risk manager may not be a contradiction in terms. An edited version of the conversation follows. Clements does business in 170 countries, which means I have to keep track of all the regulations. The majority of my time is spent in the finance and accounting space as well as risk management, which is in itself now a whole body of work. I characterize my job as being divided into three buckets. There is the financial piece of making sure we have proper audits and report our financials on time. And then there’s the business aspect: how I support the president and the CEO of the company and help improve the business model. Shielding the other two elements is the risk management and compliance part of the job. The compliance part largely involves making sure that the business licenses we get from the U.K. Financial Conduct Authority [FCA] and the Dubai Financial Services Authority [DFSA] are in proper shape. The sales producers have to have get their own insurance licenses to sell the insurance. But from a company standpoint, I’m tracking all the licenses. I’ve got to make sure that everybody who gets on the phone has them, because not having one is big no-no. More broadly, our approach to risk management and regulation is that, rather than fighting regulatory compliance, we’ve embraced it. If you look at how regulation has trended, it used to be a cost of doing business. I think we’re now transitioning into a phase where it’s a business necessity to be good at it. We try to understand the underlying intent for any regulation to come out; regulators normally have a positive intent. But it may not be practical for them to think of all the possible implications of a piece of regulation, and that’s where you get into trouble. When you have a regulation that is incomplete or subject to unthought-of scenarios, you run into challenges. So I’m spending a lot of time on solving compliance disagreements among clients, underwriters and us. You have to have the confidence of your clients, be on good terms with the regulators and try to be a better business partner with the insurance carriers. Do you provide coverage for corporations or for individuals? We provide insurance solutions to businesses and individuals outside their home countries. At one end of the spectrum, we provide [life, health and auto] insurance for expats on assignment or “lifestyle expats” who are often post-retirement but may also be doing some work. A U.S. lifestyle expat might have homes in Italy and the United States and spend six months in each country: They’re not tourists, but they’re also not citizens of the foreign country. At the other end of the spectrum we provide kidnap-ransom coverage to corporations, security contractors, non-profit and charities in places including the Middle East and sub-Saharan Africa. To what accounting regimes do you report, and what accounting standards do you use? Since we’re a privately held, family owned company, we don’t file with the SEC. But we follow [U.S.] GAAP in the United States, since our parent company is headquartered here. In the United Kingdom we follow U.K. GAAP. Dubai is actually an anomaly. We thought we would have to file there in U.K. GAAP, but we were pleasantly surprised that they let us follow U.S. GAAP. That enables us to denominate our reporting in U.S. dollars as opposed to the dirham. From an accounting standpoint that is heaven, because I don’t have to do a double conversion. Does your firm, which is in the insurance business, actually buy insurance? We do buy kidnap-ransom, errors and omissions, and property insurance. But we buy it from our own brokers. Of course, we have go through the same underwriting process with insurers that any of our clients do. For us it is very important, both when we buy insurance and when we sell it to our clients, to remember that what really matters is what you’re doing in a particular place. We’ve got three offices in low-risk areas, but they’re different. For instance, our risk is much lower in the United States than it is in London and Dubai, because we aren’t regulated in the U.S. but are regulated in those other places. You should also be aware of whom you’re insuring, even in a low-risk place like the U.S. For example, diplomats aren’t very risky because they have diplomatic immunity. While employees of a service company might be more subject to greater liabilities than diplomats, their high levels of education make them a relatively low risk. With employees of oil and gas companies overseas, there’s an added layer of risk because you can be shut down tomorrow. What’s your company’s approach to risk management? In terms of risk management, as an insurance broker, we have to practice what we preach. The way we look at risk management is that any time a situation comes up, we look at whether it’s a disaster or a crisis. Both end up in losses – physical, personal or financial. The distinction is that a disaster is a single event, like an earthquake, flood or cyclone. A crisis is a situation which has happened and which is now out of control. So disasters are all about recovery; a crisis is all about management. What’s the common ground between CFOs and risk managers? One thing CFOs hate is variation, and risk management is all about reducing variation. At the end of the day, you’re both looking at expected losses. And the two elements of expected losses are: how likely is it that an event will happen and what will be the actual loss when it happens. Those are things a CFO is always worried about. If a plant in Nigeria or an oil field in Saudi Arabia is at risk of being damaged, what’s my loss on the books going to be? That’s the risk they’re trying to minimize. Clements Worldwide, the leading provider of international insurance solutions, yesterday awarded the first annual International Development Awards to leading NGO and development organisations at a ceremony in London, in partnership with Bond, the UK’s membership body for over 400 international development organisations. The awards were presented by Justine Greening, UK Secretary of State for International Development. Sponsored by Clements, the International Development Awards celebrate innovation and creativity in the development sector. Three winners, Street Child United, We Are Motivation and Safer World, were selected by expert judges from a competitive pool of small, medium and large sized organisations who submitted videos illustrating the positive impact of collaboration, echoing the 2014 Awards theme of effective partnership. 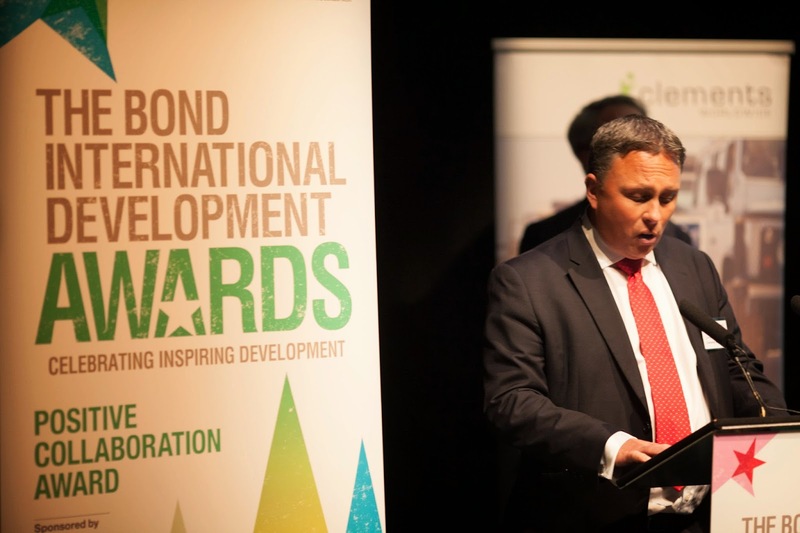 The International Development Awards are part of a larger partnership between Bond and Clements, who are again serving as the exclusive event sponsor of Bond’s Annual Conference. This year’s event in November will bring together top influencers and leaders in the development sector to discuss bold new insights and innovative approaches, including best practices about insurance and risk management. When making the decision to move outside of their home country, expats are faced with a plethora of choices and a wide range of destinations. In many countries, cost of living can be extremely high. When making the decision to move away from their home country, expats are faced with a plethora of choices and a wide range of destination options. However, in many countries, the cost of living can be extremely high, making it additionally difficult to find an enjoyable job, an affordable home and accommodate for the expense of international insurance. Fortunately, many cities across the globe are both inexpensive and attractive for expats. Below are a number of cultural hubs which offer exceptional job opportunities, making them potentially desirable destinations for expats. Recently, website Xpatulator.com compiled a list of the best cities for expats to find opportunities while still saving money. A number of the most popular locations have seen costs rise, so it may be prudent to explore other options before moving outside your home country. According to Xpatulator.com, one such city is Dailan, China. This metropolis is often overlooked as an expat destination, but it has a large number of foreign workers and has a very low cost of living, especially compared to Shanghai and Beijing. The price of a luxury three-bedroom apartment in Dailan is roughly half of a similar property in Shanghai. Another possible city for expats is Budapest. The Hungarian capital has very affordable food, drink and housing expenses. Other cities that made the list include Cape Town, South Africa and Calgary, Canada. In sharp contrast to some of the more cost-effective expat destinations out there are countries in the Middle East. A recent report released by the Bharat Book Bureau looked at six nations: Bahrain, Kuwait, Oman, Qatar, Saudi Arabia and the United Arab Emirates. The most expensive on that list was Qatar, the news source noted. This is due to its tight rental market, limiting the number of inexpensive housing options for citizens and expats alike. In addition to costly homes, Qatar is also the priciest for vehicle rentals. The amount of money needed to rent a small sport utility vehicle in the country is roughly twice that of the UAE. This high cost of living could persuade expats to seek other countries in the Middle East, or throughout the world. Regardless, international insurance is a must for anyone moving outside their home country. A lack of coverage could put expats living and working outside their home country unprepared for expenses incurred abroad. Violent currency swings are the new normal for finance chiefs, forcing them to go beyond traditional hedging strategies. Currencies in at least 20 countries have fallen 6% to 37% against the U.S. dollar over the past year. The economic turmoil in Argentina and Venezuela and the conflict between Russia and Ukraine have hit their currencies, as well as the first-quarter earnings of dozens of international companies, such as Avon Products Inc., Coca-Cola Co. and Ford Motor Co.
To augment or replace hedging programs, more CFOs are rethinking their relationships with suppliers and distributors, their corporate structures and, when they can get away with it, their prices. “Companies have never been as exposed as they are now to the violent movements of foreign currencies across the globe,” said Wolfgang Koester, chief executive of FiREapps, which advises clients on currency risk. That’s partly because smaller companies and even startups are selling abroad, he said, and larger companies are penetrating faster and deeper into emerging markets. Roughly 98% of U.S. exporters are small and medium-size companies, according to the U.S. Department of Commerce, though they represent less than a third of the value of American exports. Companies typically hedge to protect their profits by buying contracts for the option to buy or sell currencies at a fixed price in the future. But the more volatile a currency, the more costly the contract, making that a poor long-term solution. 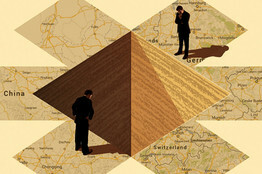 The increasingly sophisticated approaches companies are taking to manage their currency exposures are why an April 2013 survey by the Bank for International Settlements showed that corporate foreign-exchange trading had fallen 50% from the bank’s previous survey in 2010. Of course, renegotiating business contracts or finding new suppliers takes time, and a currency swing can come suddenly. Russia’s ruble has tumbled 8% against the dollar since January and has been mentioned in more than 115 company conference calls, according to FactSet. The drop is a problem for McDonald’s Corp. restaurants in Russia, which import almost half of their food and typically pay for it in dollars or euros. “If you assume the ruble is going to stay at this depressed level, that’s something we’re going to be battling with for the rest of the year in our European margins,” Chief Financial Officer Peter Bensen told investors recently on a conference call. To help offset the ruble’s decline against the dollar and euro, Alexey Kornya, CFO of Mobile TeleSystems OJSC, said the Moscow-based cellular carrier is asking certain foreign suppliers to accept payment in rubles. By contrast, Air Tractor Inc., a closely held Olney, Texas, maker of crop-dusting and firefighting aircraft, has “lost sales” in places like South Africa recently, because it demands payment in dollars, said CFO David Ickert. In the past year, the rand has fallen 15% against the dollar. Nicole Anasenes, CFO of Infor Inc., a New York-based business-software provider, said she might consider accepting payment in a foreign currency, but only “if it’s an existing customer,” and she could use the money locally for salaries and other operating costs. Having strategically placed subsidiaries overseas can help insulate companies from currency swings. When Northern Technologies International Corp. expanded into nearly two dozen countries, including Russia, Malaysia and Indonesia, the Minneapolis-based maker of anti-corrosion packaging materials, took on local partners. The strategy initially was about growth, but CFO Matthew Wolsfeld said it helps to offset currency volatility. If need be, the company’s joint ventures can leave cash in countries with weaker currencies and extract it from those with stronger currencies. Mr. Wolsfeld said the firm is most affected by the euro’s swings, and has used the euro’s recent strength to pull dividends out of its German joint venture. Sometimes, currency changes leave companies with little choice but to raise prices, which can be especially hard to do on discretionary products or those on which a local competitor isn’t facing the same margin squeeze. A company’s best hope is that its rivals will have to do so too. That can happen with latex gloves, most of which are made in Malaysia, whose currency has weakened 7% in the past year. When currency swings prompt local vendors to raise prices, medical-products suppliers like Henry Schein Inc. typically raise prices in lock step. Where Henry Schein can pass prices along, it does, said CFO Steve Paladino. Washington DC headquartered Clements Worldwide has launched a guaranteed issue term life insurance product into the Middle East and North Africa region. The US company, which has built its reputation on insuring government foreign service workers as they move around the world, opened an office in Dubai in March last year, and has since been building relationships with local brokers. The new product, Guaranteed Issuance Term Life Insurance, will initially be offered to consumers through brokerage, Globaleye, which is headed by Tim Searle, although Clements said it is planning to roll out the product in due course with a number of other brokerage firms. The Guaranteed Issuance Term Life Insurance product offers cover for up to $500,000 (£297,341), with no medical test or underwriting, coverage against death as a result of illness, accidents and acts of war and terrorism. It is valid regardless of where in the world the client is. 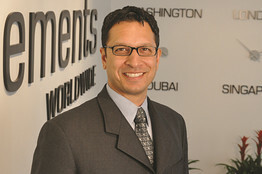 Christophe Allafranco, head of sales and business development for Clements Worldwide Dubai, said: “Our best-in-class international term life product is specifically designed to offer financial security to the families of expat individuals in MENA who are living and working outside their home country. Clements Worldwide provides international car, property, life and health insurance, and specialty and high risk cover. It was founded in 1947 by husband and wife team Robert Clements and Juanita Guess-Clements, the latter of which was employed by the US Department of State. It is through this link the company began offering insurance solutions to international workers of the US Government. 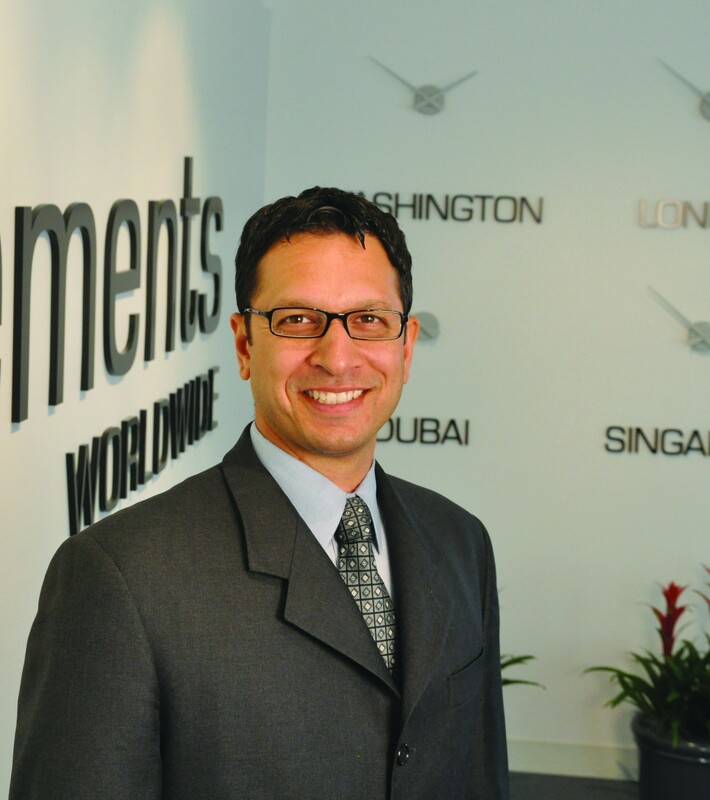 Clements Worldwide now has offices in Washington, London and, more latterly, Dubai.